By now you’ve probably seen the tweet because its been retweeted over 500,000 times and still climbing. 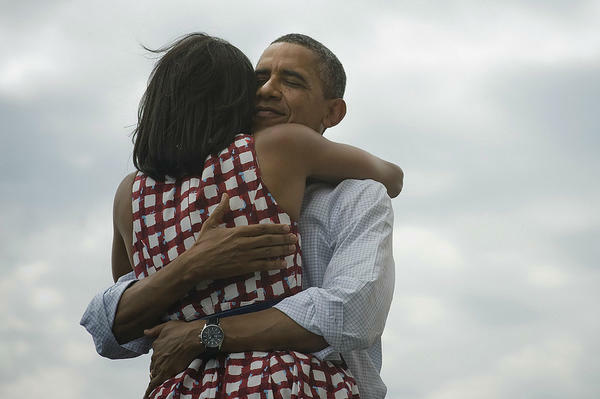 After winning the electoral college and becoming the president re-elect, Barack Obama posted up a tweet with the simple words, “Four more years.” This tweet, with attached picture of him and his wife hugging quickly amassed over 200,000 tweets within the first hour. The president re-elect, with in hours or even minutes, surpassed the previous top retweeted by none other than Justin Bieber mourning the death of Avalanna. With 200,000 retweets for his tweet, it was doubled with in an hours and even surpassed as people were congratulating the re-elect of our president. Not only did the president have one victory tonight, but two by taking the previous held spot for top retweet. Today was a great victory for the United States and President Obama. Twitter also reported that when the networks started announcing the president’s re-election the Tweets-per-minute skyrocketed to, what Twitter reports, -327,452 Tweets-per-minute. Just another successful day for Twitter without even a hint of the Fail Whale. It was certainly a great day for not only Twitter but the nation.